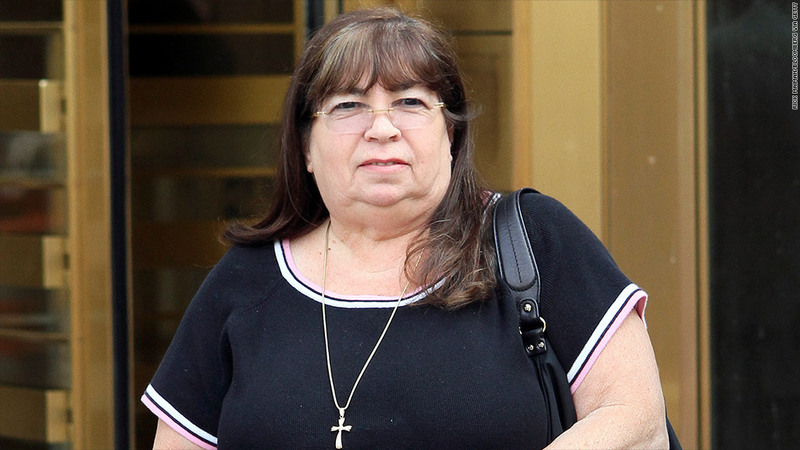 Accused fraudster Annette Bongiorno said in federal court that she was merely a well-paid typist for Bernard Madoff, and that she didn't know he was running a Ponzi scheme. Annette Bongiorno, a former employee of Ponzi mastermind Bernard Madoff, said she spent 40 years recording trades that it turned out didn't actually exist. She also testified that she would go back and alter trading records at Madoff's request when market conditions changed. Bongiorno and four other ex-employees of Madoff's firm are currently on trial for fraud in federal court in Manhattan. Under cross examination on Thursday, Bongiorno insisted that she didn't know that she was doing anything wrong. "We did it all the time, these changes," she said. "I didn't think of it." Bongiorno also claimed that she didn't know what the S&P 500 Index was, even though she admittedly spent years staring at a Bloomberg terminal as she backdated months or years worth of fictional trades. She testified that after Lehman Brothers went bankrupt in September of 2008, she rewrote Madoff's records to make it look like he shrewdly sold 5,600 shares of the firm two months before its collapse. But she insisted that she didn't understand the significance of what she was doing, because she didn't read The Wall Street Journal. "Everything was backdated," said Bongiorno. "It didn't raise a red flag." She said that she spent so much of her career backdating trades that she did it without thinking, like "brushing my teeth," she told the court. Bongiorno insisted that she was only entering data on orders from Madoff, whom she said was like a big brother to her. "He told me what to do," she said. "I typed." She said that she was paid a "good salary" for her typing. She also acknowledged that she owned a Bentley and two Mercedes, along with a house on Long Island, NY, and another home in Florida. She said that she had been looking forward to retirement and planned to sell her two homes and buy a $6.5 million condominium in Boca Raton. But then in 2008 Madoff's scheme fell apart and the feds "seized everything," she said. Bongiorno is on trial along with colleagues Dan Bonventre, Joann Crupi, Jerome O'Hara and George Perez. All are accused of helping Madoff orchestrate his $20 billion pyramid-style scam, and all have pleaded not guilty. Madoff, who pleaded guilty in 2009 and is serving a 150-year sentence in a federal prison in North Carolina, hired underlings with limited experience and education. Bongiorno started working at the firm when she was 19 and fresh out of high school. She introduced Madoff to Frank DiPascali, Jr., who was driving a delivery truck for a dry cleaning service when Madoff hired him 1975. He eventually became a portfolio manager and is now acting as a witness for the government. DiPascali admitted to cooking the books for his former boss by recording fake trades that actually didn't exist in testimony earlier this year. "We were lying," he said at the time. Bonventre was an accountant when he went to work for Madoff, and was therefore one of the most experienced new hires on Madoff's staff. He also got an Associate's degree over the course of six years while working at the firm. Despite his college education and accounting experience, Bonventre said that the bulk of his Wall Street knowledge came from his former boss. "[Madoff] often boasted that he wrote the rules," Bonventre said in testimony earlier this month. "He always told me 'this is how things work' and 'this is how we do it,' and I always believed him." The trial, which has dragged on for five months, could go to the jury next week.